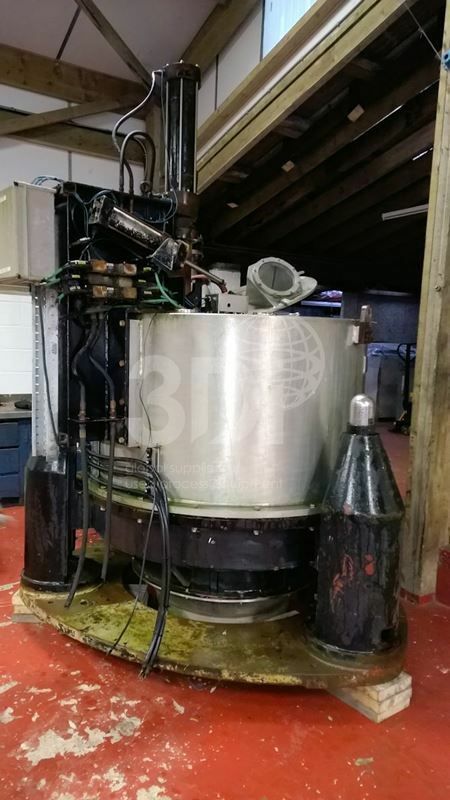 Used Basket Centrifuge, manufactured by Broadbent, Type 46A, Model 1250mm x 710mm, material of construction 316L stainless steel, basket diameter 1250mm, basket depth 710mm, filtration area 2.7m2, basket volume 440 litres, max capacity 528kg, max speed 1075rpm. 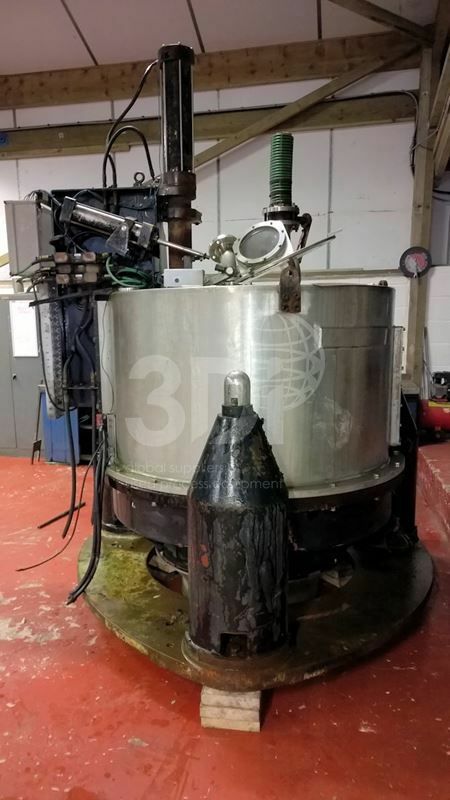 Dimensions 1500mm w x 2000mm L x 2200mm H. Centrifuge is powered by a 37kw electric drive motor (415v3ph 50hz). Centrifuge is hydraulically operated plough bottom discharge and is mounted on a base with three spring loaded legs. Previously used on chemicals.